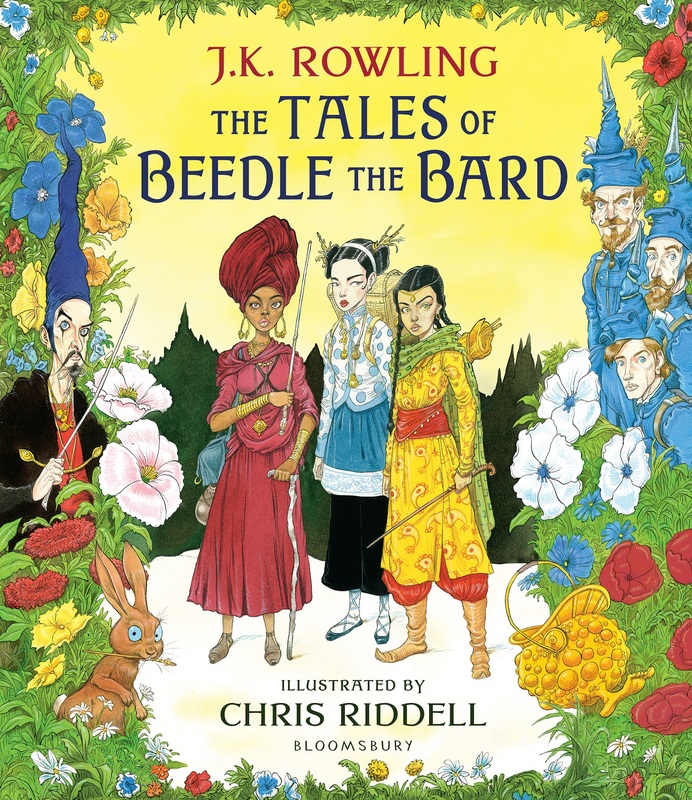 Bloomsbury has revealed the cover for the new illustrated edition of The Tales of Beedle the Bard, illustrated by Chris Riddell. It will be published in hardback on 2nd October 2018 for £25 with a Deluxe Edition available for £120. The cover can be seen in high resolution in the gallery. Mischievous and witty, these five rollicking tales are a deeply satisfying read in the tradition of all great fables and fairytales. Kindnesses are rewarded and selfishness shown to be the ruin of many a wizard. Burping cauldrons, hairy hearts and cackling stumps are met along the way. Each of the tales is accompanied by a deliciously subversive and insightful commentary by Professor Albus Dumbledore. Translated from the runes by Hermione Granger, The Tales of Beedle the Bard also includes ‘The Tale of the Three Brothers’, familiar to readers of Harry Potter from the crucial role it played in Harry Potter and the Deathly Hallows.